Bob Hook was a winger who played for Gloucester between 1928 and 1939. He had real pace and scored 89 tries in 146 first team matches. He was a regular for Gloucestershire, playing in the Championship-winning side of 1936-37 and at the end of his career became a sports administrator and first class referee. Robert E Hook was born in Gloucester on June 21 1911. He was the elder brother of Bill Hook, the Gloucester and England full back. He was educated at Sir Thomas Rich’s School and played for Widdon Old Boys before joining Gloucester RFC. 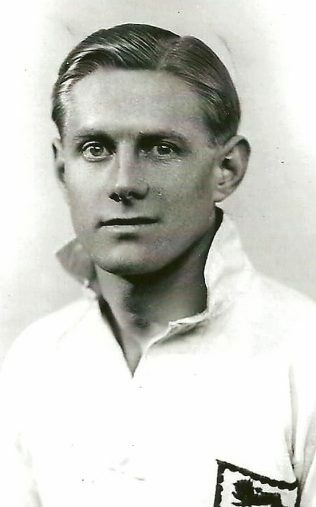 Bob’s opportunities for Gloucester were limited in his early years because the wing positions were occupied by England international Kit Tanner and Gloucester captain Roy James. At the start of the 1935-36 season Rev Kit Tanner left Gloucester to take up a curacy in Slough and Bill Bailey reported in the Citizen: “There is a splendid chance for Hook to gain his place in the senior ranks. Will he take it?” He did. 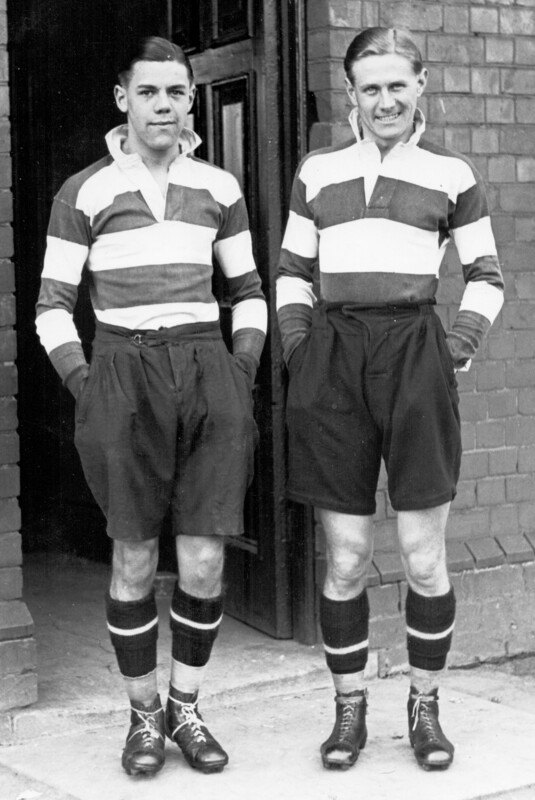 In 1935-36, his first full season for Gloucester, Bob Hook was the leading try scorer with 19 tries and was noted as having played three outstanding games for the club. He broke into the Championship-winning county side the following season, playing in the semi final against Kent where he outpaced the great Vivian Jenkins to score the only try and in the final against East Midlands at Bristol where The Times said “R E Hook managed to combine a proper offensive spirit with a barbed wire defence.” Bob scored 18 tries that season and was again the leading try scorer for the club. 1937-38 was a record-breaking season for Gloucester in which they won 28 and drew 2 of 35 games. Bob Hook was leading try scorer for the third successive season, scoring 19 tries. In his final season 1938-39 he continued to demonstrate his pace and notably scored both tries in a 6-0 win at Bristol and the only try in the return at Kingsholm which was drawn 3-3. He also had a successful county season, but on April 1 announced that he was leaving Gloucester in May to take up the post of Assistant Secretary to the Devon and Cornwall Fitness Committee in Exeter. Hook turned out for three games for Gloucester in the 1945-46 season. After his playing career finished he became a first class referee with the Devon Society and in March 1955 refereed the County Championship Final between Middlesex and Lancashire at Twickenham.